Join the SC Chapter of HIMSS at our Members Networking Luncheon. The Chapter Luncheon will be held in the Celebration breakout rooms in the Hyatt Hotel. 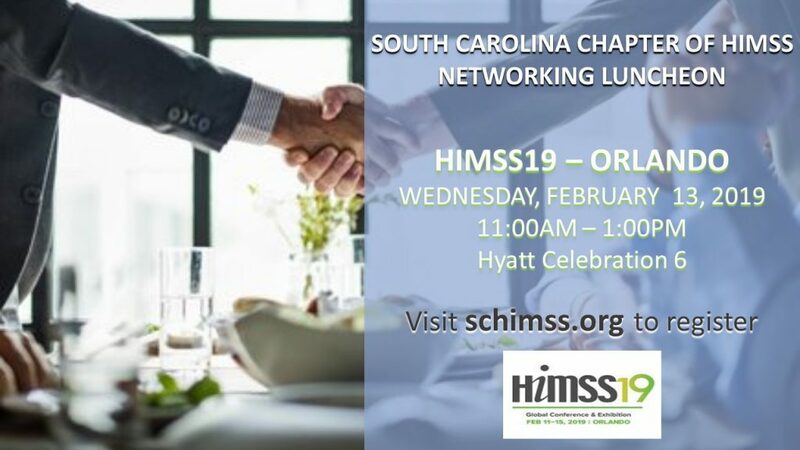 SC HIMSS is excited to provide an open environment for our chapter members to relax, mingle and enjoy a great buffet lunch. Early registration is closed. On-site registration is available at the luncheon. Hope to see you there.